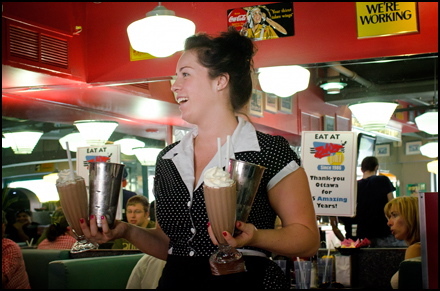 Lots of good times and some great shakes can be enjoyed in Zak's Diner. She was won over by the Gothic architecture of the Parliament buildings, the cleanliness of the city, the Rideau Canal’s attractiveness and the lively atmosphere of the Byward Market. I spent a couple of weekends in the city this summer and found that its winning qualities continue to endure. Ottawa is an easy city to get around, has a tremendous amount of cultural attractions to enjoy, a growing number of quality restaurants, and citizens who are pleasant and laid-back (including some of those who are politicians). Ottawa has been criticized, and rightly so, for not offering enough outstanding hotels. Aside from the Fairmont Chateau Laurier and the Lord Elgin, there aren’t enough five-star accommodations, and the chains in town, while reliable, don’t offer much in the way of personality. Hotel Indigo, I was happy to find, is a mid-priced boutique hotel affiliated with Holiday Inn that offers what a good hotel should: a marvellously comfortable bed and pleasant customer service. It’s also reasonably priced. You can reserve a room for a weekend night in October for $140 or less on the hotel’s booking engine. 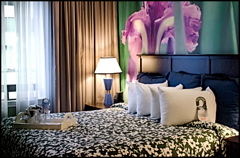 Plush beds make a stay at Hotel Indigo a treat. At this price range, the room was the second-best I’ve ever stayed in (the best being the abundantly delightful Le Petit Hotel in Montreal). At Indigo, the hardwood floors add warmth, the bathrooms are spacious and the plush beds easy to sink into. Room-darkening curtains, flat-screen TVs and complimentary WiFi access are other plusses that made this an enjoyable stay. The hotel, at 123 Metcalfe Street, is also a five-minute walk straight north to Parliament Hill. 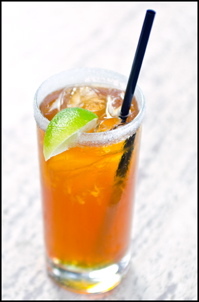 Murray Street lightens up the Dark 'n Stormy. The Vineyards — In the basement at 54 York Street, this wine bistro also has an outstanding beer list. And it’s not nearly as crowded as the most of the other bars in the Market. 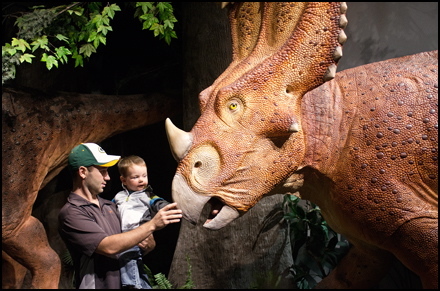 The dinosaurs at the Museum of Nature don't bite, but their teeth just might tickle. Museums — Ottawa, of course, has loads of galleries that you must see at least once. Not the least of which is the National Gallery (380 Sussex Drive) . If you’ve never been, you need to go. It showcases the Canadian artists who’ve helped shape our heritage and culture — and not just the Group of Seven. You’ll find the best collection of work from Alex Colville, my favourite Canadian artist, and a diverse selection of others. Adult admission is $9, but there are several opportunities to enter for free; check the gallery website for details.